Familiar bonds make for good entertainment. It’s instantly relatable. You know someone that’s being portrayed. You know that situation. Zack Friedman’s Fathers and Sons rides high in familiarity. The family drama follows three generations of men. A man and his father and son. Told mostly in the present with the occasional ill-timed flashback, Fathers and Sons is a dramatic journey of a man who is trying to hold his family together while trying to do the same for himself. Al Marshall is a single father with a depressed teenager and a fading father. We watch as Al tries to take care of Adam and Pop while maintaining his own life. Fathers and Sons is an interesting character study, focusing sharply on relationships. But the style that director Stephen Cedars approached the script is what made the piece confused. At first, Fathers and Sons felt like a 90s network sitcom with Al Marshall being the quintessential TV dad with the corny jokes and morals ready at the moment. As the piece develops, it falls into the something closer to a 90s family drama on the WB with that overdramatic underscoring. It made the piece feel a bit hokey and unassuming. Regardless of the sentimentality factor, Fathers and Sons will still hit home. The relationships that Friedman establishes prove the great worth of family and the bond of blood. You may hate your family in the moment, but at the end of the day, family is forever. As the father and son, Doug Willen as Al was grounded with the man juggling three lives in his hands. Willen took a comedic approach to the role, which was a very bold choice. As Pop, Robert Sean Miller portrayed the decaying man perfectly. While it was never directly specified if it was one of the unfortunate mental diseases, Miller’s ability to flip around and return to the present was remarkable. Andrew Chamberlain as Adam played the moody teen card from start to finish. Whether it was due to the script or not, it was monotonous. It’s stated that Adam is depressed but there was very little variety in his performance. Stephen Cedars took the safe route with his ensemble. There seemed to be very little risk in his vision aside from using the three major scenic elements by Tyler M. Perry to serve as every location. While it was easy for the audience to understand exactly where the play was, it allowed the transitions to be smooth, if not basic and repetitive. The music selections by Cedars were a bit trite and set the mood of the world. The orchestrations were very dated which may be the reason the style of the play felt the way that it did. 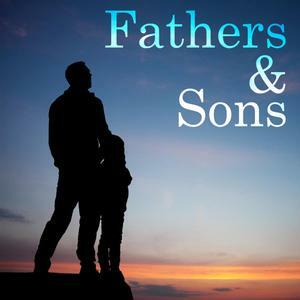 Fathers and Sons is a captivating drama at its core but the execution was mediocre. What is interesting about this piece is that depending on the puzzle pieces that comprise the cast, a different story is bound to be told.